Why Castor oil during an Ayurvedic cleanse? A: known as the ‘King of all oils’ in Ayurveda and is a highly cleansing oil. It is well known for its properties to get rid of both physical and emotional toxins, Ama, from the body. 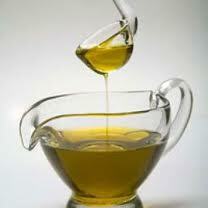 It is anti-inflammatory and anti-oxidant oil which has been used for centuries. Day 4 of the LilyPod Fall Home Cleanse. Over the half-way mark… mixed reviews on the ghee and soon to come castor oil dosage… yayks! A: They are known as the ROYAL bean, deemed by many as the easiest bean to digest and the best for detoxing. According to Ayurveda and Chinese medicine, mung beans are considered a cooling (yin) food, with sweet and astringent tastes, and have a nourishing and cleansing effect. A tip from macrobiotics is to soak them with kombu – a pacific seaweed – which is believed to further activate enzymes helpful for digestion. Day 3 of LilyPod Fall Home DeToX. At least they know that is WORKING, toxins are leaving their systems. A: 1. Haven’t been feeling hungry? 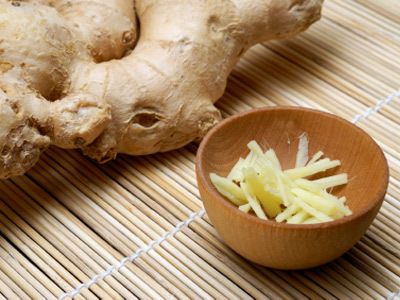 Eat fresh ginger just before lunch to stoke a dull appetite and fire up the digestive juices. Day 2 LilyPod Detox – Why Khichidi? Why do we eat Khichdi? It is an ancient Ayurvedic recipe for thousands of years to DETOX. It resets your body’s innate healing mechanisms. 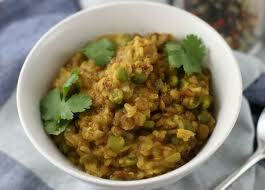 Khichadi is rich in Protein, Calcium and Iron. 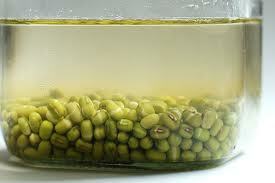 Mung Beans are a good source for dietary fiber, protein, Vitamin C, Calcium, Magnesium, Phosphorus and Potassium. A secret blend of spices adds the balanced basic elements: Earth and Water for increasing energy and immunity, Fire for stimulating digestive enzymes and Air and Ether which aid in detoxification.Enjoy LilyPod DeToXerS! 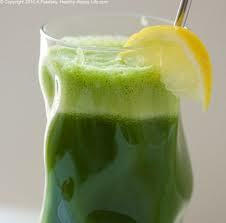 Why we do green juice during a detox? Day 1 of LilyPod Fall Home DeToX…. A: Why we drink green juice? 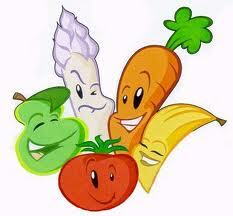 – Improves energy levelWhat else could we ask from our am meal? LilyPod Fall Home Cleanse 5 DAYS TO GO. Who wants to join me for a 1 week HOME cleanse? I will guide to process. Let me know and I will send you all the info and grocery list! !